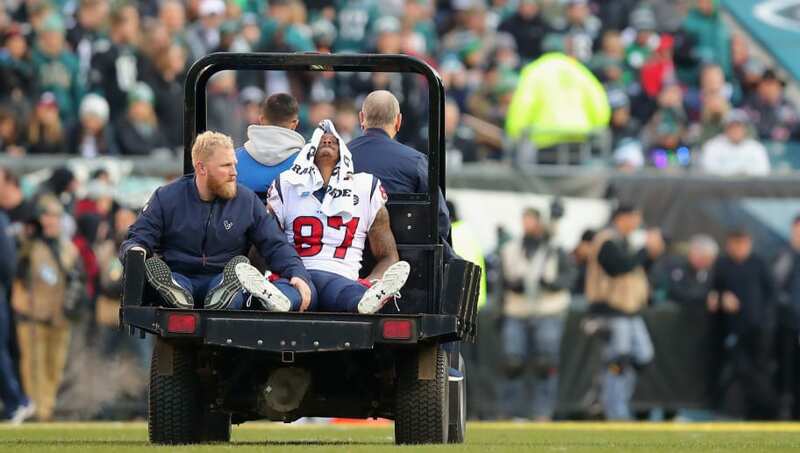 ​The ​Houston Texans acquired ​Demaryius Thomas during the 2018 regular season, but it seems his tenure with the team is already set to come to an end. According to James Palmer, the ​Texans are expected to release Thomas today, opening up the veteran wide receiver to sign with a new team on the open market in the offseason. Thomas' season was cut short after he tore his Achilles in Week 16, and while it's an injury he's dealt with and recovered from in the past, the Texans felt they were better off letting the 31-year-old receiver go. The Texans will be saving $14 million by releasing Thomas, as he didn't carry a ​dead cap hit heading into the 2019 season. In 2018, Thomas caught 59 passes on 89 targets, scoring five touchdowns and racking up 677 yards. He played eight games with the Broncos and seven games with the Texans before his Achilles tear ended his season. Hopefully Thomas will be able to find a new home in the offseason, although it will be a risk for any team to take on an aging wide receiver coming off of his second Achilles injury.